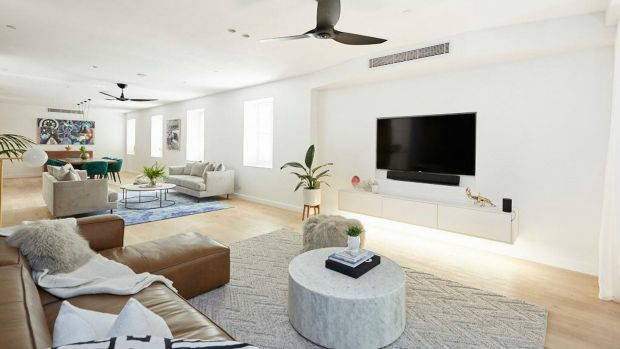 The apartments on this season of The Block are some of the biggest ever, and, as host Scott Cam pointed out, the living and dining area in Hans and Courtney’s apartment could contain the entire floor plan of an apartment from the first series. Combined kitchen, dining, living and entertaining areas create multifunctional, sociable spaces and are top of the must-have list for buyers. But for everyday families, there are several issues that come with cohabiting such an expansive space. Fortunately, there are simple solutions. 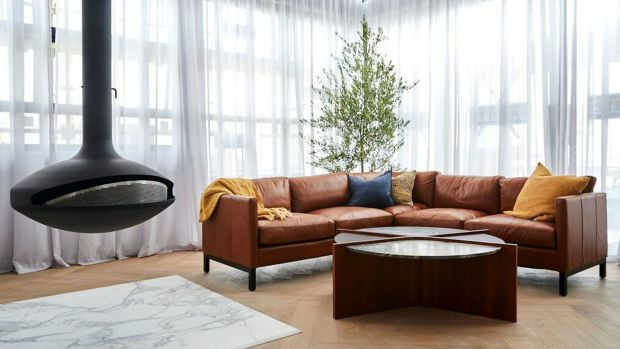 Architect Pedro Garcia, of Tamospaya, suggests the main issue when designing open-plan living is allowing for the full diffusion of natural light. “Many have just one natural light source, but ideally there are two walls of windows, such as a corner living room. To counteract this, a high ceiling helps diffuse natural light into the area,” Garcia says. 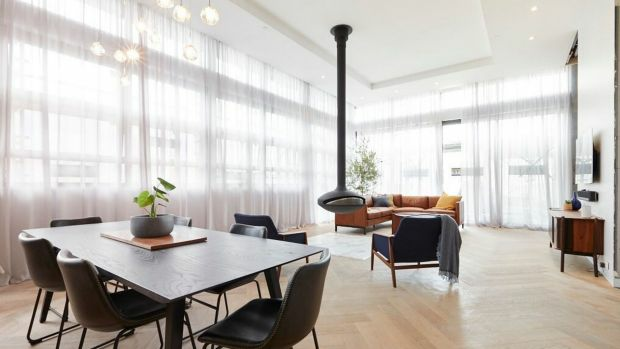 While open-plan living offers community and togetherness, individuals can feel like they’re living in each other’s pockets, which compromised concentration, especially for work or study. “We assume that the geometry is a rectangular room, but changing it to an L or T-shape creates filtered views while keeping a connected environment,” Garcia says. Other ideas include creating pause points with seating, bookshelves, cabinets, folding screens, even planters and artwork. A built-in desk can help close off distractions and low booth seating around a table can be a cosy nook for family members who eat at different times. While an informal room encourages relaxation, it can also mean the increased noise levels: the TV might be on, a dishwasher is being emptied, a game is being played, a conversation is happening or the telephone is ringing. Anthony Carter, national product manager for Carpet Court Australia, says sound levels differ between flooring materials. “Vinyl tends to be the least noisy, followed by timber, then laminate flooring,” he says. “But carpet is king when it comes to sound reduction. “If you prefer hard flooring to carpet, there’s a trend for large rugs in living areas, often covering most of the floor. “Blinds and curtains add privacy while improving sound management and fabrics and textiles absorb noise,” he says. Garcia suggests installing acoustic materials such as perforated plasterboard and noise-absorbent fabric panels in feature walls. While an open space is easily cleaned by turning on an automated vacuum, it’s not so easy to keep tidy. “No one wants to see kitchen mess,” says Felicity Page, senior designer at Freedom Kitchens. “If you have a large kitchen, include a butler’s pantry to provide an extra sink and storage. Hooks on one wall can hang kids’ schoolbags when they come home and head straight to the fridge for a snack. Deal with digital issues by having a power point with charging station at a recessed desk that can be closed off along with the laptop, handbag and paperwork. Eadie Lifestyle founder Trudie Cox meets the challenge of defining zones with the positioning of furniture and rugs, and by styling each area as if it was a room. Keeping judge Neale Whitaker’s mantra of “less is more” in mind is key. “Little details like pairing a pattern with a solid-colour cushion makes it easier for the eye to take in a space, creating a sense of calmness,” says Cox.